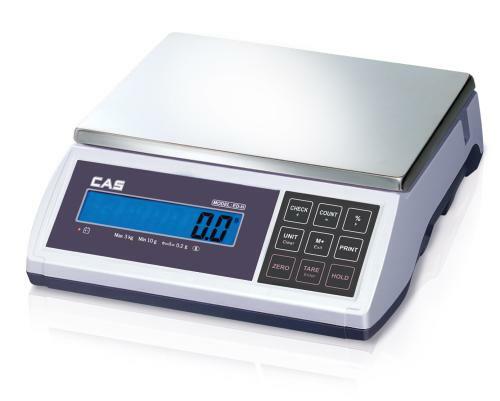 High Accuracy weighing & counting scale with AC & rechargeable battery operation. Additional features such as percentage mode, accumulation mode & comparison function. PC or Printer connectable. Easily portable. CAS ED-H Digital Weighing Scale has a high resolution for extreme accuracy. The ED-H Digital Weighing Scale also has various functions such as, Counting, Percentage Mode, Cumulative Weight Sum, Comparison function and can be connected to a PC or Printer. AC & Rechargeable battery operated. This sophisticated machine is ideal for bakeries, labs, jewellery stores, or simple day-to-day operations where weighing in small increments is vital.